Briefing newsmen in company of some of the members who moved to the Peoples Democratic Party (PDP), Atunwa said that Tuesday’s defection was just the first batch of members that would leave the APC. He said that the public should expect more as many members had indicated interest to defect from the party. Atunwa said that the APC was a party they all laboured for as people came from various parties, campaigned and formed a government in 2015. According to him, we came together because of what was being proposed to the people of Nigeria as we believed in change and a better Nigeria. The legislator said that they believed in respect for the rule of law, improved education, social welfare of the people as the men, women and youth of the country deserved better among other ideals. “Sadly, no sooner we formed government in May, 2015, the party put itself on course to be derailed and that derailment has continued to today. “Some of us have been agitating that we should go back to the ideals that brought us together, but the party was not listening. “The party rather embarked on victimization and criminalisation of its members, those perceived as opponents and have divergent views,” he said. He said that the party set itself on the line of destruction when the aggrieved members brought up their concerns but were castigated and referred to as “inconsequential and as nobody”. “Putting all that together and the interest of the country, particularly as the APC has derailed from the ideals that will propel Nigeria to advance, we felt we have to take this step we took today,” he said. Atunwa said the defectors were interested in economic development, respect for parliament and rule of law, while the APC was concerned about membership to form majority. He, however, said that the PDP in the past three years had learnt its lesson. 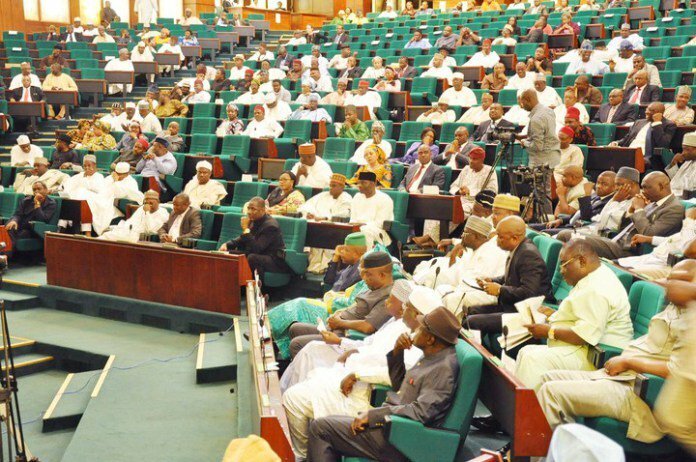 The lawmaker added that they had monitored and had seen that the PDP had taken corrective measures. He said that having been beaten at the polls in 2015, the PDP had got its acts together and was now a reformed party, adding that it was the reason they felt confident to return to the party. Also, Rep. Hassan Saleh, who also defected, said that from the ward congress up to the national convention of the APC, no fewer than 25 states in the country had parallel congresses. He questioned the process that brought about the national convention given the issues at ward levels, saying that the foundation was faulty. According to him, we cannot continue to hide our faces like nothing is wrong when the problem is there. Rep. Alliyu Madaki said some of the defectors joined the APC because it campaigned and promised to ensure security of lives and properties. He said section 14 of the Constitution said that the primary responsibility of government “is the protection of lives and properties of Nigerians”. According to him, nobody is safe today in Nigeria; under the PDP administration, l could drive from Abuja to Kano with myb eyes closed but now, I depend on consistent prayer to arrive safely. The News Agency of Nigeria (NAN) reports that 33 lawmakers in the lower chambers defected from the APC to PDP, four others to African Democratic Party (ADC) while one resigned. The house, however, adjourned to proceed on eight weeks break and will resume plenary on Sept. 25.